These new Cross Townsends are covered in gleaming metals, but still boast the graceful lines of the original 1930s Art Deco design. A stunning statement when taken in hand and noticeable to all those around you. The 10K models are covered in rolled gold with 23k gold appointments. The less expensive Medalist features highly polished chrome trimmed in 23k gold. Both have a incised line pattern on the barrel and cap. 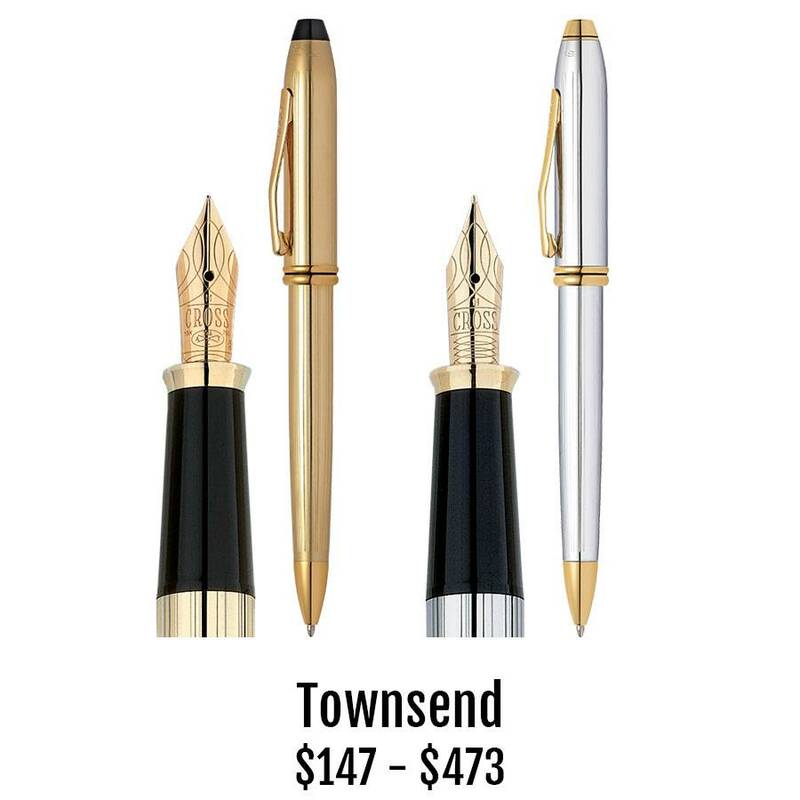 Select your favorite finish in either fountain pen, rollerball or ballpoint. Perhaps create a treasured set that will be prized forever?